Our Mission Roll Top Desk is available in a variety of wood types and finish choices. The Mission Roll Top Desk comes standard with dovetail drawers with full extension slides, paneled sides and mission style details. Standard backs are plain but are stained and finished. If your roll top desk is not going to be up against a wall then you will want to select our beautiful raised panel back option. 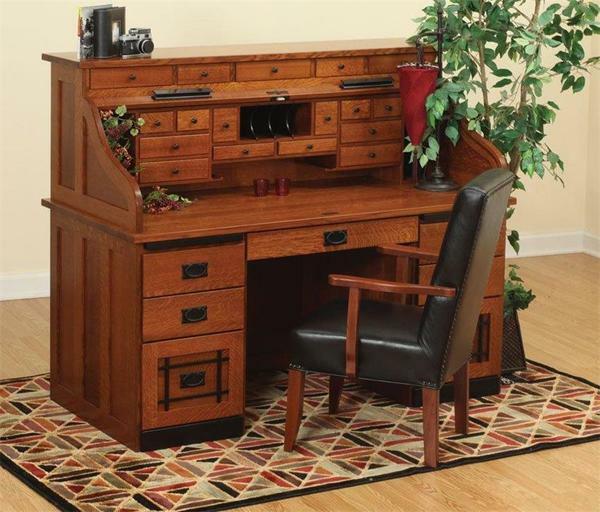 This roll top desk is sure to become a treasured family heirloom! Center Cubby Height without Center Drawers and Slots: 13 1/2"